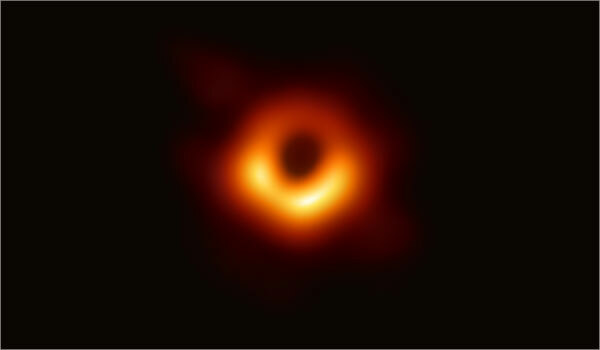 WASHINGTON, D.C. — Scientists today shared the first picture to show the immediate surroundings of a galaxy’s supermassive black hole, captured by a network of radio telescopes that adds up to what could be considered the world’s widest observatory. “This is a remarkable achievement. … It’s almost humbling in a certain way,” EHT project director Shep Doeleman, an astronomer at the Harvard-Smithsonian Center for Astrophysics, said during a news briefing here at the National Press Club. This entry was posted in GeekWire and tagged Black Holes, Event Horizon Telescope, Space. Bookmark the permalink.